Captain Keith Bunyan, final MVP Adam Hammerschmidt and Fury veteran Greg Foussas. Picture Michael Gillen. Sony Centre Fury are bringing the Scottish Cup back to Falkirk after a convincing win over rivals St Mirren. The Paisley side could not compete with John Bunyan's side who led 52-34 at half-time after an incredible 29 points in the second period. The difference between the sides stayed the same in the third period before Fury stretched clear and hit three figures in the fourth. Adam Hammerschmidt again took the golden ball at the Oriam in Edinburgh. 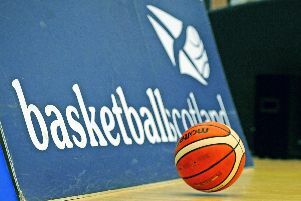 The road to the trophy began against Heriot-Watt University, where the final venue is based, in September. 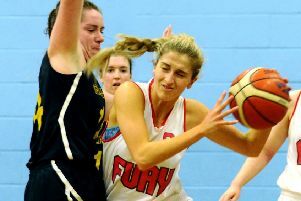 Fury saw off the students convincingly hitting 114 points to win by 40. 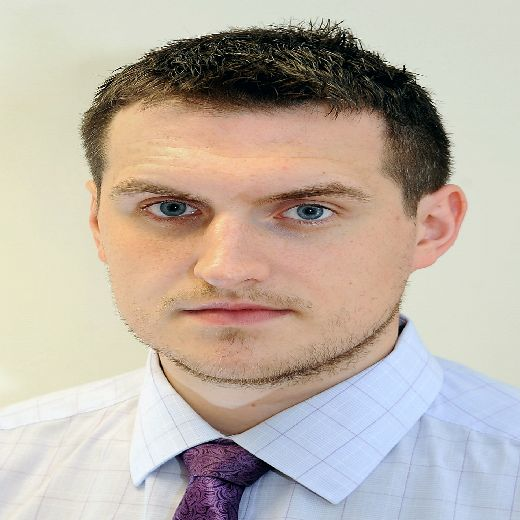 They then saw off Stirling Knights before inflicting Dunfermline Reign's first defeta of the season in December to seal the final place against their rivals from the west. Adam Hammerschmidt. Picture Michael Gillen.